Lovely 1930's Octagonal Oak Table. 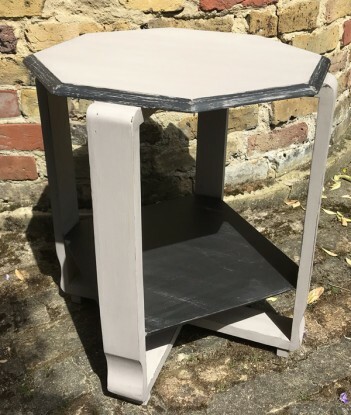 We have painted this using Grand Illusions Vintage Paint in Pastille and Noir and then we have distressed the paint finish. Finally it has been varnished using the matt varnish.